appetizer is perfect for tail-gaiting parties and other informal get-togethers. Just toss all the ingredients into a slow cooker crock, turn it on, and viola! You have a tasty and delicious dish party-goers will love. Adjust the amount of heat easily to suit individual tastes by increasing or decreasing the amount of hot sauce and jalapeno used. My kids laugh at me because I leave all hot sauce and jalapenos out of my serving of chicken buffalo dip but add it in for everyone else. I seriously can’t handle any spice in my food. This spicy buffalo chicken dip recipe is a favorite in our house for parties and get-togethers with friends. Everyone loves the extra kick of spice, and it’s so easy to make. You can definitely reduce the spice if you prefer, but we love to kick it up a notch or two. To make it even easier, you can mix this up using shredded rotisserie chicken! 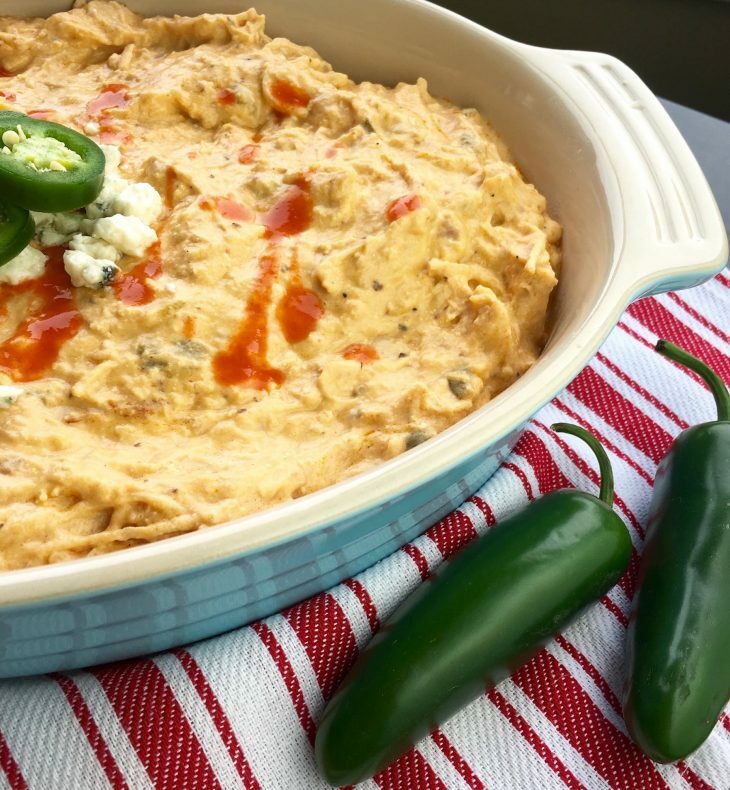 Make our spicy buffalo chicken dip with your favorite hot sauce and enjoy this at every party you host!